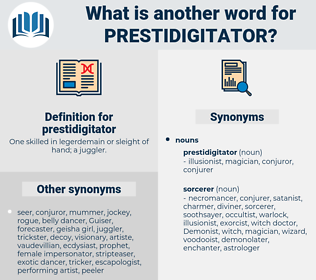 What is another word for prestidigitator? 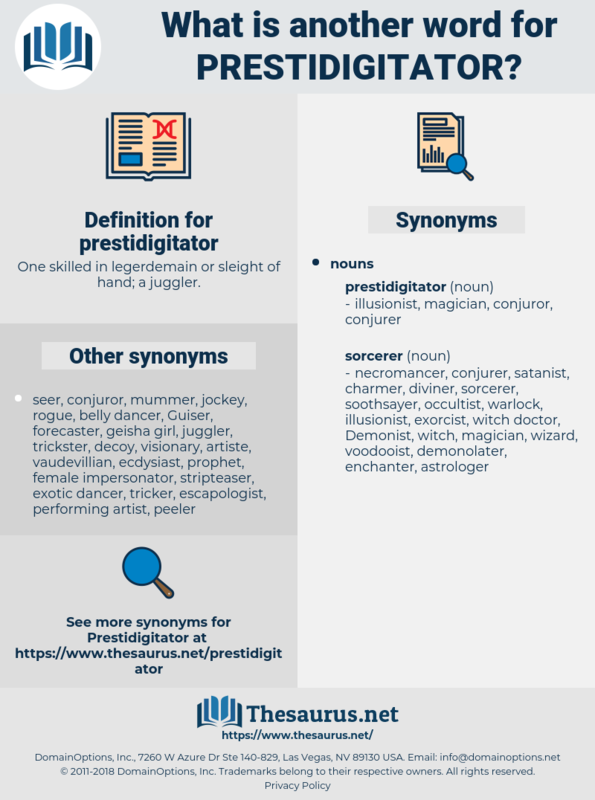 One skilled in legerdemain or sleight of hand; a juggler. He had the gift of persuading you that all his wonders were true, and his flattering familiarity of manner heightened the effect of his wonders, like that of the prestidigitator, who passes round in his audience, chatting pleasantly, while he pours twenty different liquors out of one magical bottle. After assuring himself that the coast was clear Sube drew back his sleeves in imitation of a prestidigitator.